Frightening Verse: Are Morrissey's Books Any Good? Morrissey’s debut novel, List Of The Lost, was published today (24 September) and whaddya know, it’s a Penguin Classic already. 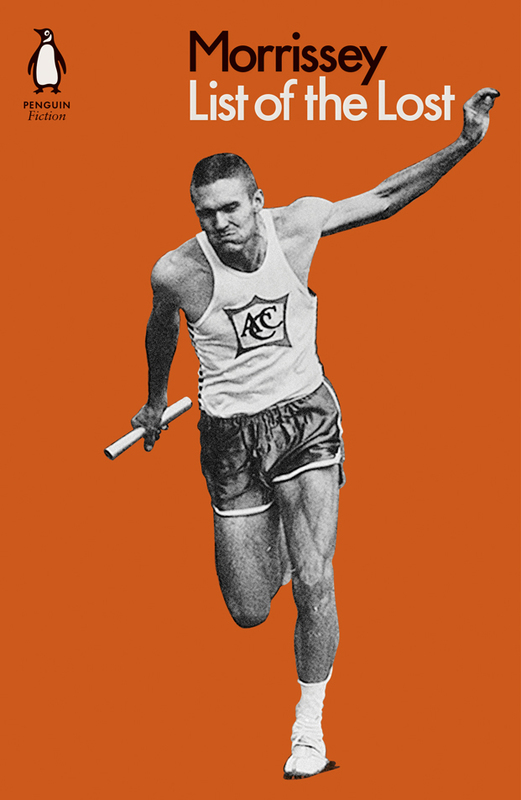 Morrissey claims the book is about “a sports relay team in 1970s America who accidentally kill a wretch… The wretch begins a banishing ritual of the four main characters, and therefore his own death at the beginning of the book is illusory." "List Of The Lost is the reality of what is true battling against what is permitted to be true." But where does it stand in the complete Morrissey library? List Of The Lost isn’t the first time he’s been in print, oh no. A prolific letter-writer, young “Steven Morrissey” was occasionally published in the music press. It was initially though that Steven would make a splash on the music scene as a writer, rather than a performer. Factory Records bigwig Anthony H. Wilson offered the opinion that Morrissey would “become our playwright”. But it was not to be. However, before The Smiths signed to Rough Trade and became one of the 1980s key acts, young Morrissey made a bid for literary respectability by publishing a number of factual books… over thirty years before Autobiography hit the bookshops. Here is the full Moz bibliography to date. Teenage Morrissey was a huge fan of the US glam-shock-rockers and would write to the British music “inkies” with fannish zeal about their antics. 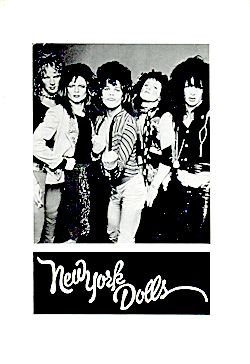 It was no wonder, therefore, that his first published work was a breathlessly evangelistic tribute to the career of David Johansen, Johnny Thunders and the crew, via Manchester-based music publishers Babylon. 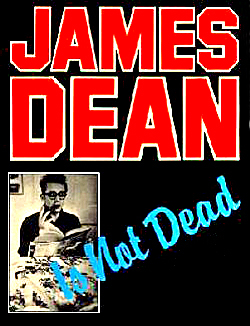 A slightly more substantial work than the New York Dolls effort, this book had a limited release just as The Smiths were signing to Rough Trade and working on their first proper recordings. He later told biographer Johnny Rogan: “It’s nothing more than a thick pamphlet - it was really thrown together.” Publisher John Muir claimed that the book had sold “5,000 copies”, although this seems to be a huge print run for such an obscure author. Babylon later reissued the book in 1984, just as The Smiths started to break, and again in the late 90s, causing Morrissey to note in his Autobiography: “[It’s] a dreadful heap of 70s juvenilia… I had no idea that it would turn into a bookish presentation that would haunt me till death's sigh." Morrissey had written a couple of other manuscripts with the intent of arousing the interest of Babylon Books, one was on girl groups and singers that hasn’t emerged since, but the other was this curious 48-page long text. 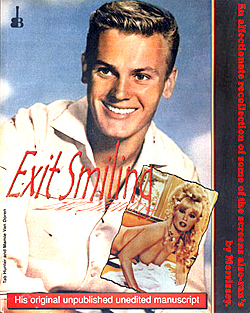 It concerns the short-lived careers of a a number of obscure actors: everyone from Morrissey obsession Rita Tushingham (of A Taste Of Honey fame), matinee idol Tab Hunter, James Dean associate Sal Mineo, and blonde bombshells Diana Dors and Jayne Mansfield. There are also brief paragraphs on the lacklustre careers of would-be James Dean replacements Michael Parks (now a favourite actor of Quentin Tarantino) and Christopher Jones. The book was only issued as a limited edition of 1,000 copies and features Morrissey’s unedited and unexpurgated typewritten text. 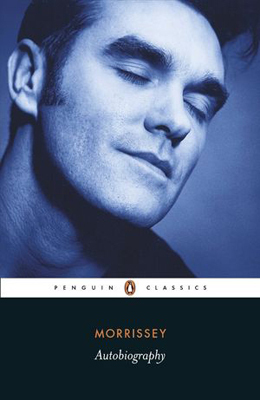 There was huge anticipation when Morrissey announced that his autobiography would be published by Penguin - hilariously, under their “Penguin Classics” imprint, usually reserved for the greats of modern literature. The dense prose didn’t disappoint, being essentially a long monologue that takes the reader from the Stretford of the early 1960s, through the ghouls who inhabited the Manchester schools of the era and to the author’s musical epiphany of the early 70s. There are many of personal reminiscences that add colour to the lyrics of The Smiths and solo Morrissey. Where the book is found lacking is in any intriguing detail of the Smiths years - once the band is up and running, we skip over most of the interesting stuff, spending more time on the acrimonious court case that drummer Mike Joyce brought against his bandmates. And that’s the downside: the book ends up as a catalogue of those who’ve wronged the singer over the years, rather than the witty memoir we were all expecting.